Early last summer, SPX Transformer Solutions employees Meredith Johnson and Ashley Miller kicked off a community outreach program they developed to help promote and teach local middle and high school students about science, technology, engineering and math — or STEM — subjects. 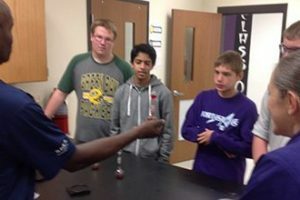 To accomplish their goals, Meredith, Ashley and their team of volunteers partnered with Waukesha North High School, Catholic Memorial High School and Waukesha STEM Academy to engage students by providing “real world” examples of work and careers available by embracing these curricula through shadow programs, monthly hands-on activities, guest speaking opportunities and plant tours. Students also worked with employee volunteers during these in-school activity days on developing “soft skills” and participated in hands-on, interactive activities designed by the outreach team to keep the learning experience interesting and entertaining. 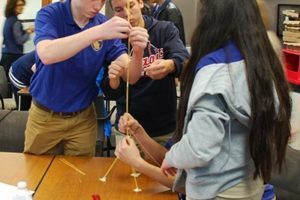 In addition to the five classroom activity sessions, the program sent two guest speakers to each school, one in the fall and one in the spring, to facilitate an interactive discussion designed to educate students on the importance of communication, team work, collaboration and creativity as well as “dressing for success” and resume building. Open Houses were held for each school, where students came to SPX Transformer Solutions to experience a full day agenda, complete with an engineering panel, technical presentation on controls, an HR presentation on what the company looks for in students entering the workforce from a hiring perspective, plant tours and group participation exercises. The team even visited the third grade glass at Burleigh Elementary School in Brookfield twice last year, working with the class on age-appropriate interactive engineering activities. 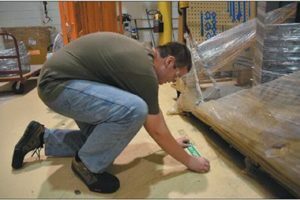 One final element of the outreach program involves students from Waukesha North High School working at the factory on special projects. Both parties benefit from the arrangement, with students realizing an opportunity to be exposed to the world of manufacturing and the company scoring additional help. The women’s inspiration to develop the program came from their shared passion for working with young people, hoping to influence students early in their development by introducing them to STEM. They saw an opportunity to provide a program they wished they had as students, as well as provide a venue to encourage more women to consider careers in the field of engineering. “My inspiration for the program is to help women realize they can be successful in this field. Yes, it is male-dominated, but it doesn’t have to be. I pursued this career path due to the influence of some powerful women engineers, and I aspire to be that role model for young women today,” said Meredith. Meredith gained insight into this type of program during her involvement with the Society of Women Engineers at UW-Platteville, with further exposure while in the role of Vice President for the Institute of Industrial Engineers. Both organizations host activities similar to what Ashley and she developed for our community, personalizing their outreach program with features they felt would appeal to the local youth. Starting up a program like this is not without its challenges. Finding volunteers has been a struggle at times, despite rave reviews from employees that have participated. “Volunteers enjoy having fun with the students! Meredith and I love seeing how excited employees get and how well they interact with the students,” said Ashley. Heading into the 2017-18 school year, the women would like to get more employees excited and involved in the program. “You don’t need to be an engineer to participate, you just need to want to work with kids and help them learn,” Ashley added. The company is proud of the initiative and perseverance Ashley and Meredith demonstrated throughout the development and implementation of this program. 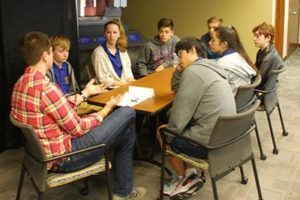 By bringing their ideas and plan detail to the management team and local schools, they were able to recruit other employees and create an engaging outreach program. Additionally, these young women serve as company ambassadors in our community, explaining who we are and what we do at SPX Transformer Solutions. Meredith Johnson started her career at SPX Transformer Solutions in December 2014 as an industrial engineer. She attended UW-Platteville, earning her bachelor’s degree in industrial engineering. 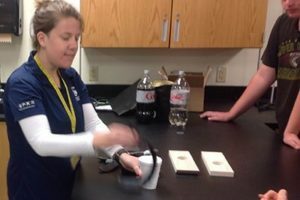 Meredith later pursued a master’s degree in manufacturing engineering at UW-Milwaukee and is currently studying for a PHD in Industrial Engineering with an emphasis in Biomechanics and Ergonomics. Ashley Miller joined the SPX Transformer Solutions’ industrial engineering team in April 2008. She received her bachelor’s degree in industrial engineering from UW-Platteville and her master’s degree in industrial engineering from UW-Milwaukee. With parallel educational and career paths, Meredith and Ashley have worked together to create a community outreach program that touched the lives of over 100 students in its inaugural year.